Your smile is often the first thing that others notice about you. 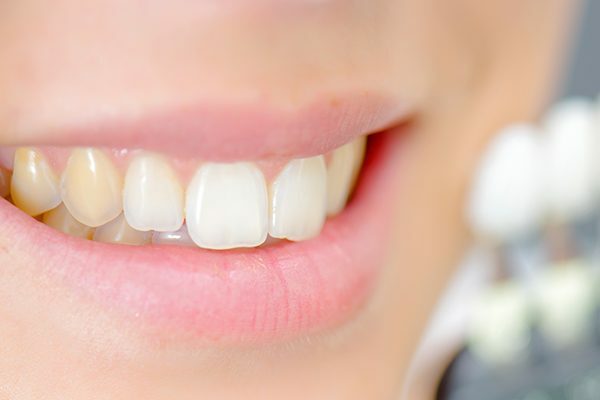 While a set of sparkling white teeth can make anyone appear more attractive and healthier, discolored teeth can seriously hamper a person’s self-confidence. People with stained or yellow teeth may even feel too conscious or embarrassed to smile in public. Teeth tend to lose their color and shine as a person grows older. In addition to this, there are several other factors that can cause yellow or stained teeth. Brush your teeth twice a day. This is the most important step in a proper dental care routine. Floss your teeth at least once a day to help remove plaque from areas where your toothbrush can’t reach. Rinse your mouth with water after meals or drinking caffeinated beverages to remove any leftover food or residue from your teeth. This will help prevent stains and decay. Cut back on coffee, tea, and other food and beverages that may stain your teeth. Visit your dentist for a dental cleaning every 6 months. Avoid smoking and chewing tobacco, as these habits are harmful to your oral health and can cause stained teeth, gum disease, and even oral cancer. If you have severely discolored or stained teeth, consult your dentist about various treatments options available to you. You should also visit your dentist if the color of your teeth appears abnormal without any known cause or if you experience any additional symptoms. A lot of people prefer professional treatment to remove the yellow tinge from their teeth. 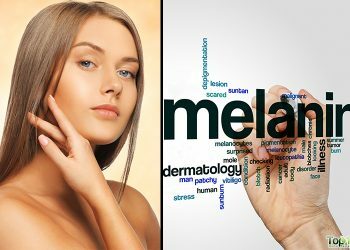 However, such treatments can be time-consuming, expensive, and even harmful. Commercial toothpaste may contain several harmful ingredients such as triclosan, sodium lauryl sulfate, propylene glycol, microbeads, and diethanolamine, to name a few. Additionally, many toothpaste products are flavored with artificial sweeteners such as aspartame. According to the American Dental Association, you must consult your dentist before using a bleaching product for teeth whitening. This is especially important for people with several dental fillings, crowns, and extremely dark stains. Here are some ways to whiten your teeth naturally. Baking soda, also known as sodium bicarbonate, boasts natural whitening properties and is a popular ingredient in commercial toothpaste. Being mildly abrasive in nature, it helps scrub away surface stains and plaque accumulated on the teeth. Plaque buildup can contribute to several oral health issues such as tooth decay and gum disease. Baking soda also facilitates plaque removal by neutralizing acids produced by plaque-causing bacteria. Mix ¼ teaspoon of baking soda with a little toothpaste. Brush your teeth with this gritty mixture, and then rinse with warm water. Use this remedy once or twice a week. Alternatively, mix 1 teaspoon of baking soda with 2 teaspoons of water. Brush your teeth with the paste. Do this a few times a week. Note: Excess use of baking soda can strip your teeth of its natural protective enamel. Do not use it for more than a few weeks. When it comes to whitening your teeth the natural way, the effectiveness of hydrogen peroxide cannot be ignored. 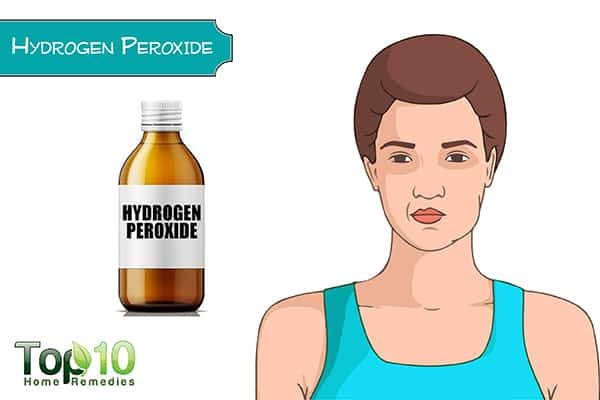 Hydrogen peroxide is a natural bleaching agent. 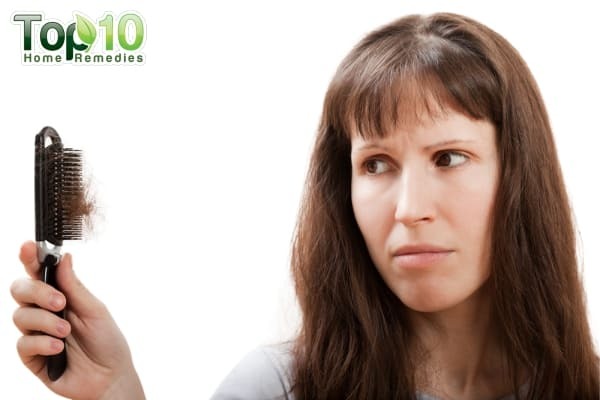 It also helps in eliminating the bacteria in your mouth, thus preventing bad breath. A study published in the Journal of Clinical Dentistry found that brushing with commercial toothpaste containing baking soda and peroxide twice a day led to 62% whiter teeth in 6 weeks. Another study published in the Journal of Indian Society of Periodontology highlights the efficacy of a hydrogen peroxide mouthwash in removing stains and plaque. Mix 1 teaspoon of 3% hydrogen peroxide and 1 teaspoon of water. Use this solution as a mouthwash twice daily. Alternatively, combine 2 teaspoons of hydrogen peroxide and 1 teaspoon of baking soda. Gently brush your teeth with this mixture a few times a week for 2 or 3 weeks. Note: Overuse of hydrogen peroxide may erode your tooth enamel. Do not use these remedies more often than recommended. Coconut oil is an excellent ingredient for the maintenance of oral health. Using it for oil pulling will help whiten and brighten your teeth. Coconut oil is high in lauric acid, which is known for its ability to reduce inflammation and kill bacteria present in the mouth. These bacteria can lead to plaque formation and other oral issues that may cause a yellow tinge on your teeth. 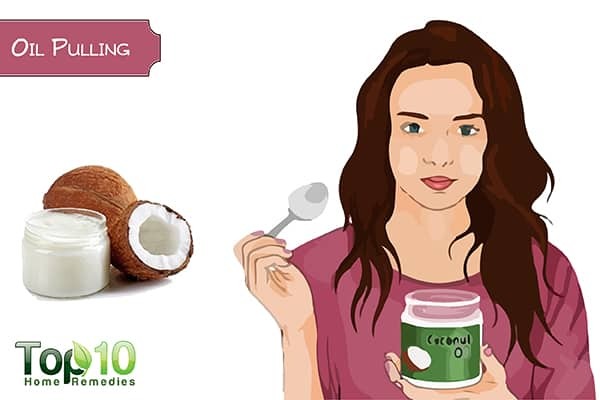 A study published in the Nigerian Medical Journal reports that oil pulling using coconut oil could be an effective adjuvant procedure in decreasing plaque formation and plaque-induced gingivitis. A 2016 study published in the Journal of Contemporary Dental Hygiene found that edible oil pulling therapy is natural and safe and has no side effects, and it can be considered as a preventive home care practice to maintain oral hygiene. Swish it around in your mouth for 15 to 20 minutes. Do not gargle. Spit out the milky solution. Do this once daily in the morning before you eat. The leaves of holy basil have whitening properties and can also help in protecting your teeth from problems such as periodontitis (pyorrhea), an advanced form of periodontal disease. A 2014 study published in the Journal of Clinical and Experimental Dentistry found that holy basil mouthwash has an antiplaque effect and is effective against plaque-forming bacterial strains. It can potentially be used as an antiplaque mouthwash with prophylactic benefits. Place a few holy basil leaves in the sun for a few hours. Grind the dried leaves into a powder. Mix the powder with your regular toothpaste and use this mixture to brush your teeth. 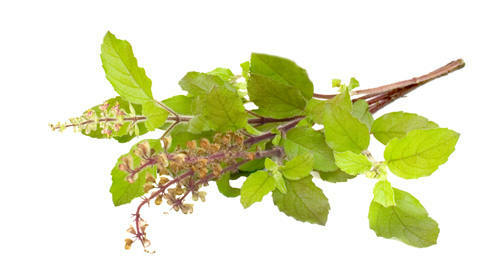 Another option is to make a paste of holy basil leaves and mustard oil and use it to clean your teeth. This is one of the most popular natural remedies to whiten yellow teeth. 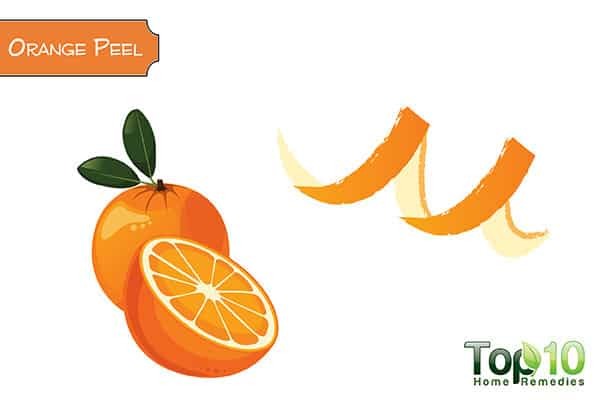 The acidic property of orange peel makes it a powerful bleaching agent. This helps reduce the yellow tinge on your teeth. Moreover, orange peel contains limonene, which makes it highly effective in removing teeth staining, especially stains caused by smoking. A study that can be found in the American Journal of Dentistry states that toothpaste containing d-limonene was significantly effective in reducing smoking stains on teeth and d-limonene alone inhibited the development of further smoking stains. Rub a long strip of orange peel over your teeth for 2 to 3 minutes. Repeat this remedy twice daily, until you are satisfied with the results. Eating a crunchy apple can help make your teeth whiter by scrubbing them like a toothbrush. According to a study that can be found in the Insisiva Dental Journal (2012), apple juice possesses the ability to whiten the surface of the tooth enamel that changed color due to immersion in coffee solution so that it may return to its original color prior to discoloration. 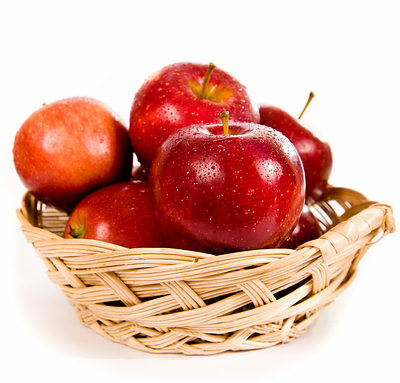 Try to eat at least one or two apples daily to get rid of the yellow stains on your teeth. Chew thoroughly so that the acidic nature of the apple and its fiber-rich rough flesh get ample time to work on your teeth. You can also consume other crunchy food items including raw carrots, cucumbers, and broccoli. Indian lilac, also known as neem, can also be used to get whiter and brighter teeth. 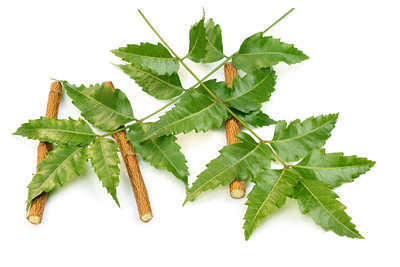 Regular use of neem also helps get rid of bad breath and prevents dental cavities, plaque, gingivitis, and other oral health problems, owing to its astringent and antiseptic properties. A 2017 study published in the Journal of Clinical and Experimental Dentistry found that neem contains isoprenoids such as nimbin, nimbinin, and nimbidin, which have antibacterial effects against oral streptococci and prevent them from adhering to the tooth surface. Moreover, it showed a reduction in plaque and gingivitis, comparable to standard fluoridated dentifrice. Use neem twigs as a toothbrush to brush your teeth daily. Simply chew on the broken end of the twig until it becomes soft enough to brush your teeth with it. Extract the juice of neem leaves and rub it on your teeth once daily. Leave it on for a few minutes, and then use a soft toothbrush to brush your teeth. Rinse it off with warm water. Mix a few drops of neem oil in your regular toothpaste and then brush your teeth. Strawberries are rich in vitamin C and can help make your teeth whiter. A 2013 study published in the Journal of Dentistry found that strawberry juice had a positive effect on the re-whitening process of coffee-stained teeth. Grind a few strawberries to make a paste. Rub the paste on your teeth gently. Use this remedy twice daily for a few weeks to get rid of the yellow tinge on your teeth. 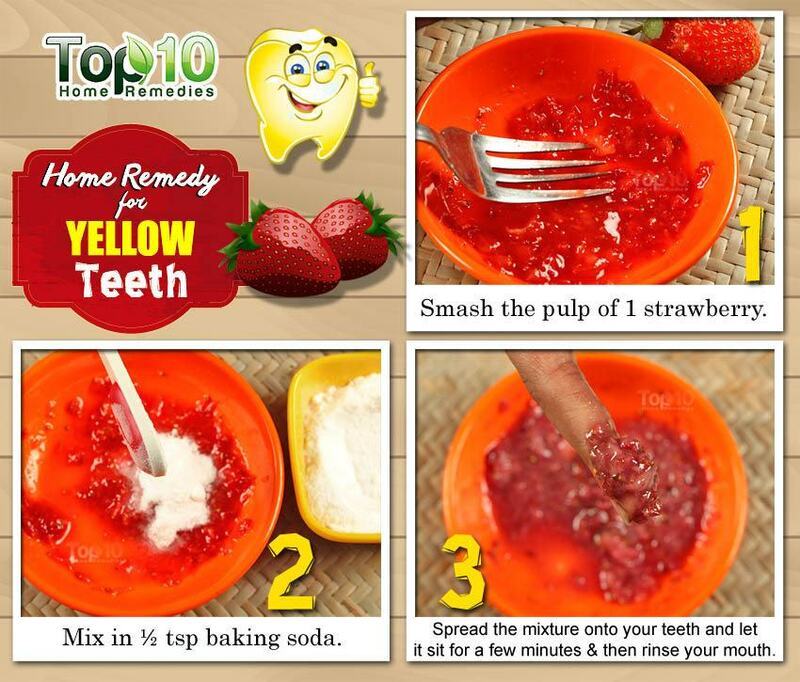 Alternatively, you can mix the pulp of one strawberry with 1/2 teaspoon of baking soda and spread the mixture onto your teeth. Let it sit for a few minutes. Rinse your mouth and brush your teeth with toothpaste to get rid of the residue. The following two remedies optimize the antimicrobial properties of two natural ingredients that are not usually associated with sparkly white teeth. However, if science is to be believed, both turmeric and apple cider vinegar can prove especially beneficial for addressing oral plaque buildup, which is essentially the underlying cause of yellow teeth. Thus, trust these remedies to work as adjunctive treatments for banishing stubborn teeth stains. Believe it or not, this bright yellow spice can also be effective in whitening your teeth! When used for brushing the teeth, turmeric powder acts as a gentle abrasive and helps remove surface stains, thus revealing whiter teeth. Turmeric comes with anti-inflammatory, antiseptic, and antibiotic properties, mainly due to the presence of a component called curcumin. This spice can also be useful in treating other dental problems such as toothache and gingivitis. A 2011 study published in the Food Chemistry found that components of turmeric had inhibitory effects on the virulence properties of S. mutans bioﬁlms (which are responsible for tooth decay and plaque formation) and suggested that it can be useful for controlling dental bioﬁlms and subsequent dental caries formation. A 2013 study published in the Journal of Natural Science, Biology and Medicine highlights the role of turmeric in the treatment of periodontal diseases and oral cancers. Mix 1 teaspoon of turmeric powder in 1 teaspoon of water. Use this paste to brush your teeth for 2 to 3 minutes. Repeatedly rinse with water and spit it out until the liquid comes out clear. Do this once daily. 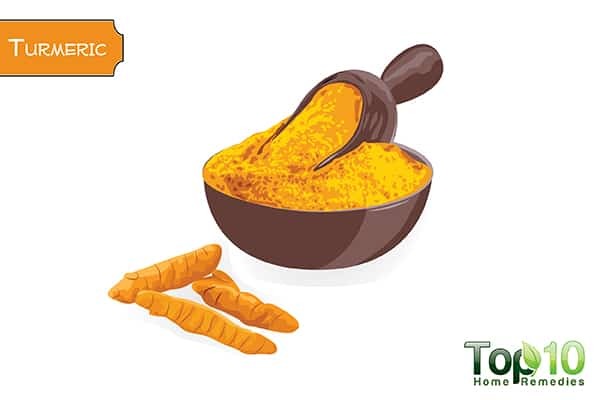 Alternatively, put 4 tablespoons of dried, organic turmeric root powder in a bowl. Add in 2 teaspoons of baking soda and 3 tablespoons of organic virgin coconut oil. Mix the ingredients thoroughly with a spoon or fork. Use this paste to brush your teeth once or twice daily. 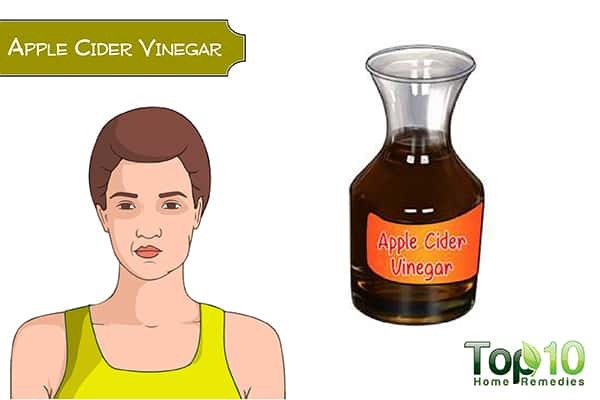 Apple cider vinegar works as a natural disinfectant and cleaning agent. It can also be used to whiten your teeth naturally. Acetic acid, the main active ingredient in apple cider vinegar, helps kill bacteria and reduce the risk of plaque or other oral problems. In a 2014 animal study published in the Journal of Sichuan University, researchers found that apple cider vinegar has a bleaching effect on teeth. However, it may soften the teeth. Dilute raw, unfiltered apple cider vinegar in an equal amount of water. Swish the solution in your mouth for 1 minute. Rinse your mouth with plain water. Do this a few times a week only. Note: Avoid overuse of apple cider vinegar, as it can erode the enamel on your teeth. Choose your toothpaste according to your oral healthcare requirements. Along with choosing the right toothpaste, it is also important to pick the right toothbrush. Both manual and electric toothbrushes can be used to clean your teeth efficiently. Choose the one you are more comfortable with. Do not share your toothbrush with anyone. Rinse your toothbrush before and after every use to keep bacteria from accumulating on the bristles. Brush your tongue along with your teeth to remove bacteria and bad breath. Buy a new toothbrush every three or four months. Use a mouthwash to help freshen up your breath. Avoid brushing right after eating very acidic foods, which can weaken your enamel. Instead, rinse your mouth with water. 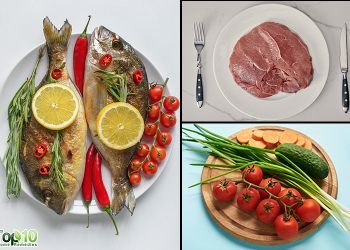 A healthy diet goes a long way in maintaining good oral health. Kadam A, Ganachari MS, Kumar M, Gurunath. Drug-Induced Tooth Discolouration. The Internet Journal of Health. http://ispub.com/IJDS/7/2/10979. Published December 31, 2008. Enhancement of plaque removal efficacy by tooth brushing with baking soda dentifrices: results of five clinical studies. Journal of Clinical Dentistry. https://www.ncbi.nlm.nih.gov/pubmed/19278079. The effectiveness of a new dentifrice with baking soda and peroxide in removing the extrinsic stain and whitening teeth. Journal of Clinical Dentistry. https://www.ncbi.nlm.nih.gov/pubmed/23210419. Effect of hydrogen peroxide mouthwash as an adjunct to chlorhexidine on stains and plaque. Journal of Indian Society of Periodontology. https://www.ncbi.nlm.nih.gov/pmc/articles/PMC3800406/. Published 2013. Effect of coconut oil in plaque-related gingivitis – A preliminary report. Nigerian Medical Journal. https://www.ncbi.nlm.nih.gov/pmc/articles/PMC4382606/. Published 2015. The Effect of Coconut Oil pulling on Streptococcus mutans Count in Saliva in Comparison with Chlorhexidine Mouthwash. Journal of Contemporary Dental Practice. https://www.ncbi.nlm.nih.gov/pubmed/27084861. Published January 01, 2016. Hosamane M, Acharya AB, Vij C, Trivedi D, Setty SB, Thakur SL. Evaluation of holy basil mouthwash as an adjunctive plaque control agent in a four-day plaque regrowth model. Journal of Clinical and Experimental Dentistry. https://www.ncbi.nlm.nih.gov/pmc/articles/PMC4312674/. Published December 2014. Effect of toothpaste containing d-limonene on natural extrinsic smoking stain: a 4-week clinical trial. Advances in pediatrics. https://www.ncbi.nlm.nih.gov/pubmed/21250568. Published August 2010. Puspasari N, Effendi C, Nugraeni Y. Effect Of Apple Juice On Whitening Teeth After Immersion In Coffee Solution In Vitro. Insisiva Dental Journal. http://journal.umy.ac.id/index.php/di/article/view/526. Published 2012. Tadikonda A, Pentapati KC, Urala AS, Acharya S. Anti-plaque and anti-gingivitis effect of Papain, Bromelain, Miswak, and Neem containing dentifrice: A randomized controlled trial. Journal of Clinical and Experimental Dentistry. https://www.ncbi.nlm.nih.gov/pmc/articles/PMC5429476/. Published May 2017. Stephanie S, Hayati AT, Sukartini E. Differences in the tooth whitening effect between strawberry juice and apple juice in-vitro. Padjadjaran Journal of Dentistry. http://journal.unpad.ac.id/pjd/article/view/15385. Published 2012. Pramesti A, Jasrin TA, Hidayat OT. Teeth re-whitening effect of strawberry juice on coffee stained teeth. Padjadjaran Journal of Dentistry. http://journal.unpad.ac.id/pjd/article/view/15427. Published 2013. Pandit S. Separation of an effective fraction from turmeric against Streptococcus mutans biofilms by the comparison of curcuminoid content and anti-acidogenic activity. Food Chemistry. http://www.academia.edu/653950/Separation_of_an_effective_fraction_from_turmeric_against_Streptococcus_mutans_biofilms_by_the_comparison_of_curcuminoid_content_and_anti-acidogenic_activity. Published 2011. Role of curcumin in systemic and oral health: An overview. Journal of Natural Science, Biology and Medicine. https://www.ncbi.nlm.nih.gov/pmc/articles/PMC3633300/. Published 2013. Effects of vinegar on tooth bleaching and dental hard tissues in vitro. Journal of Sichuan University. https://www.ncbi.nlm.nih.gov/pubmed/25571718. Published November 2014. I’m using lime or calamansi with salt & rub it before brushing my teeth with a regular toothpaste everyday. Great Genuine and Selfless Social plus Humanity work being done there by you. Yes all remedies work and are options for those who need an alternate remedy to get working for appropriate results. Please do clarify if Margosa is sisterly to Neem and the Hindi word for it is ‘ Kikkar ‘ ? I haven’t tried them bt by tomorrow I will be doing that coz it sounds promising love this website coz it gives us tips we never knew! i’ll try this remedies…i hope this’ll work..but anyways, thanks for these tips..god bless you..
nice ! .. i love this website . hey, u got some cool remedies but i havn’t tried yet….m gona try it now… Hope dis works coz i smile alot n it’ll be beta to get whiter teeths! Thank God and i found your websitE.. Thank you,I was doing this. I meant to say that I was using to much peroxide. No one has mentioned TUMERIC powder & water, a healthy way of whitening your teeth. My grandmother sucked on lemons, ate green apples, brushed her teeth with baking soda and peppermint oil. She passed away near 90 years old with all her teeth and one filling. Even though she loved sweets like vanilla ice cream. Genetics plays a major role in tooth decay. However, my mother has had stronger teeth than myself. Habits make a real difference in prevention and decay. Flossing is good. And I like the water pick. Whatever my grandmother did after eating reduced the acid that damages tooth enamel. 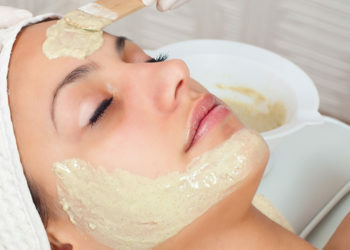 You can rely on natural remedies at least toward reducing decay. She did avoid carbonated soft drinks except on occasion she preferred Ginger Ale. 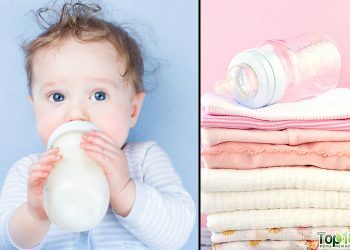 And she drank lots of water and milk. The one thing I learned from my Great Grandmother who lived almost 100 years and my Grandmother near 90 is that they always shopped for clean fresh foods. Bulk and organic. Fresh produce at the height of the season was preferred. Granny Smith Apples were preferred. Strawberries and blueberries were a must have as well as lentils, kidney beans and cabbage. Almonds and other raw nuts. Bitter foods are good as well as sour for teeth. I still see grandma with a lemon or orange rhine. Not sure if she gargeled with Listerine. But it was always available. Longevity and cavity prevention. My friend said that a slice of cheese after eating reduces acid enamel. I suppose anything that reduces acid in your mouth after eating is a good thing. I will try…. I hope it really work.. When it comes to do the orange remedy does the rubbering has to be done with the orange peel surface from the outside or does it have to be done with the inside of the skin surface? Thanks for the great information. Sesame oil is also good for teeth whitening. thank you:) This info is very helpful. my teeth were never white as snow but ivory-ish….but of late they turned a little yellow–so I started swish swashing with coconut oil for 10 minutes at a time…..WONERFUL results. I really want white teeth. Hope this works. I really hope it works…..I can’t wait to see a positive effect ..OMG..I’m gonna keep revealing them every now and then.